When Will My Trial Begin? One of the questions that personal injury victims often ask their personal injury lawyer in Manchester is “When will my trial begin?” However, it is almost impossible for your personal injury lawyer in Manchester to give you a definite answer to this question. There are a variety of factors that affect the timing of your trial. 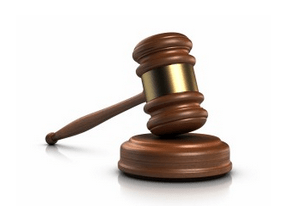 Factors specific to your case and the jurisdiction. Your personal injury lawyer in Manchester may be able to assess these factors to give you an approximate time when your trial may begin. In many locations, it might take less than a year for your case to go to trial from the time when the complaint is filed. However, other jurisdictions often take multiple years. Once he or she knows when your trial is scheduled, your personal injury lawyer in Manchester will give you notice of the trial date. Contact the Law Office of Manning & Zimmerman PLLC at (603) 624-7200 to get a lawyer on your side. 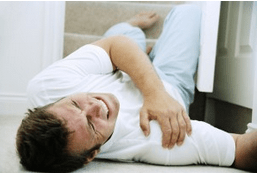 If you have sustained an injury, you must seek appropriate medical treatment. Your Manchester personal injury attorney will explain how the various medical bills will be paid. Let your Manchester personal injury attorney know about any health insurance coverage you have through your employer, spouse, parents or individual coverage. Your health insurance may be responsible for the medical bills you incur. If you were the driver in an auto accident your auto insurance may cover medical costs. If you were in a car accident when another person was driving, his insurance will likely be responsible for your medical bills. Your Manchester personal injury attorney will explain that workers’ compensation insurance will cover the cost of treatment for work injuries. Liability insurance carried by the party who caused your injuries will pay your medical bills at the time of settlement if the injury occurred on that party’s property. If there is no insurance option available, your Manchester personal injury lawyer will discuss what other sources may be used to pay your medical bills. Unfortunately, this may mean paying the bills out of pocket yourself. Usually, if you are unable to stay current with payments your attorney can negotiate with the providers so that you are not accountable for payment until your case has settled. Proper treatment is essential for any injuries you’ve sustained. Speak to a Manchester personal injury attorney about any billing concerns you have. Call the Law Office of Manning & Zimmerman PLLC at (603) 624-7200 or Toll-Free at (800) 984-3151. How Will the Insurance Company for the Person, People or Company That Caused My Injury Handle My Case? After being injured due to someone else’s negligence and receiving medical care, the next step is to retain a Manchester personal injury lawyer. While your Manchester personal injury lawyer will handle most aspects of your case for you, it’s useful to understand how the insurance company representing the person, persons or company that caused your injuries will handle your case as well. The location and scene of the accident. Once the initial investigation is finished, the adjuster may request medical records and other evidence regarding your injuries. This information will be requested through your Manchester personal injury lawyer. Additionally, your Manchester personal injury lawyer will likely ask you for evidence regarding how the accident has impacted you financially, so it’s crucial to maintain accurate records of therapy bills, hospital bills, prescription bills and other medical bills. Your Manchester personal injury lawyer will also ask for evidence of any loss of income that you have experienced due to your injuries. If you’ve been injured due to someone else’s negligence, the Manchester, NH Law Office of Manning & Zimmerman PLLC is here to help. Call (603) 624-7200 or (800) 984-3151 to start protecting your rights now. Anna Goulet Zimmerman discusses how an attorney can help in evaluating your case. After an accident, the insurance company may ask if you are interested in settling and what you think would be a fair settlement. In some instances, the insurance company may actually make an offer of settlement. In either situation, as experienced Manchester personal injury lawyers, people will call us wanting to know what their case is worth. This is not a question that can easily be answered. First, you should not consider settling your claim until you are at a medical endpoint. This generally means you are fully recovered, or that your condition has stabilized and is as good as it is going to get. Until this point, you will not know what your total medical bills, expenses, and other harms and losses are. We have spoken with many people over the years who settled their claims early for small amounts that seemed reasonable, only to then need more medical care, such as surgery, the costs of which were far more than the settlement received. In New Hampshire you typically have three years from the date of your injury to settle or file suit. Accordingly, there is no reason to rush a settlement in the early stages of your treatment. After you have reached a medical endpoint, you will need to consider whether future care is needed. In cases where there are serious and permanent injuries, such as when there is paralysis or a significant head injury, a life care plan can be done which projects the cost of treatment over your lifetime. In some cases, knowing this figure is critical. Once all the medical costs are known, an attorney will look at the total harms and losses you suffered to determine what is a fair and reasonable settlement amount. We consider many factors such as the nature of the injuries, the treatment received, scarring, and any permanent limitations. If there are any problems that need to be factored in (such as large gaps in treatment or a preexisting condition), we consider these as well. We also look at your lost wages, and if you are going to be able to return to work. As a plaintiff in a personal injury case, you will naturally want to know how much your case is worth. This is one of the reasons why you should retain a quality Manchester personal injury lawyer to handle your case. Your attorney will outline the severity of your injuries and the optimal way to recover damages. Some people think there is an easy formula that can be used. This is not the case. We must review the facts and circumstances of every case and consider how a jury would value what happened and the specific harms and losses suffered. For this reason, we believe everyone should consult with the experienced Manchester personal injury lawyers at the Law Office of Manning & Zimmerman, PLLC at (603) 624-7200 before accepting an offer, or even discussing any settlement numbers with an insurance company. I Have Been Injured in a Roadway Crash – Should I Go to the Emergency Room? 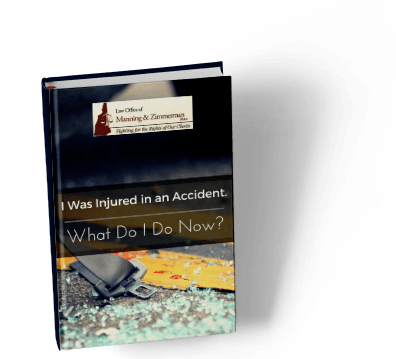 Manchester Car Accident Lawyer: I Have Been Injured in a Roadway Crash – Should I Go to the Emergency Room? You are experiencing any pain after the crash. You are left with some physical discomfort after the crash occurred. You are concerned with your health regarding the roadway crash. Your health should be your first priority. Your personal injury attorney also recommends following your doctors advice. After a roadway accident, adrenaline is coursing through your body, which will leave you feeling little to no pain. After the adrenaline levels go back to normal, you may realize that you are hurt more than you thought. Do not ignore your body’s warning signs. If you neglect an injury, you are only doing further damage to your body. While at the emergency room, be sure to let your attending physician know that you were just in a roadway accident. Be clear about what is hurting you, even if it seems like a minor pain at the time. Provide your doctor with your full medical history as well. There may be an old injury that you had that was exacerbated by the accident. By giving your doctor all of your history and current aches, they will be better equipped to diagnose and treat your pain. Go over any questions you have with your doctor and be sure to follow their expert advice. For an experienced and professional Manchester personal injury law office, contact the Law Office of Manning & Zimmerman PLLC at (603) 624-7200. Maureen Raiche Manning discusses how to safely operate a motor vehicle by obeying the Rules of the Road. One of the top causes of premature death in the United States, as any Manchester car accident attorney will tell you, is road traffic accidents. Each year, more than 40,000 people are killed in car crashes and more than two million people are injured. In addition to the terrible human cost, these accidents often leave families without a provider and may cost the injured tens of thousands of dollars in treatment costs and lost wages. In New Hampshire, if you are injured or killed in a car accident, you or your family may file a claim for damages if the accident was the result of someone else’s negligence. However, New Hampshire is a modified comparative negligence state. This means that, if the injured party is as much as 50 percent at fault for the accident, they are not allowed to claim for damages. If they contribute any percentage of fault up to and including 49 percent, they may claim, but only a limited amount. This is why it is important to contact a Manchester car accident attorney if you are injured in a traffic collision. If you or someone you know has been injured in a road traffic accident in the past three years, contact the law office of Manning & Zimmerman PLLC on (603) 624-7200. In New Hampshire, the statute of limitations for filing an action to recover damages from injuries as a result of a car accident is three years. 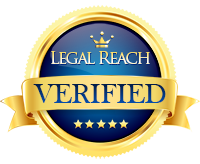 For more information on personal injury laws in your state and for help preparing your claim for compensation, contact a Manchester car accident attorney. Should I Use My Health Insurance After an Injury? As New Hampshire personal injury lawyers, we are frequently asked by people who have been injured whether they should use their health insurance to pay for their treatment. In cases involving workers’ compensation benefits, it is important that your medical bills are submitted to the workers’ compensation insurance company. However, if you have been injured in other ways, such as a vehicle crash, a fall, or a dog bite, you should be using your health insurance. In cases where the injured person does not have health insurance, the only funds quickly accessible to help pay for your treatment are medical payment benefits (known as Med Pay) on your car insurance. This coverage is usually very limited. If you have health insurance, your medical bills should be sent to your health insurance first and then the Med Pay. If you use your Med Pay benefits to pay your emergency room bill, the benefits will often be exhausted and not available for future co-payments, deductibles, or medical expenses that are not covered by insurance. New Hampshire law allows for a coordination of benefits between health insurance and Med Pay so the injured person is able to seek medical treatment with no cost to them until their Med Pay runs out. In the majority of personal injury cases, compensation is paid one time, at the end of the case. As cases can take years to resolve, waiting for a settlement to pay your medical bills can leave your doctor’s unpaid, ruin your credit, and make it difficult to obtain medical care due to the outstanding balances owed to the medical providers. People are often bothered by the idea of submitting their bills to health insurance when they believe someone else is responsible for the injuries suffered. This is completely understandable. However, in most instances, your health insurance will have a right to be reimbursed from any future settlement you receive. If you have questions regarding the use of health insurance following an injury, please feel free to call the New Hampshire personal injury lawyers at the Law Office of Manning and Zimmerman at (603) 624-7200 to discuss the specifics of your case. When you are waiting to hear about a potential settlement offer, your personal injury attorney in Manchester may explain the pitfalls involved in the process. Additionally, your personal injury attorney in Manchester might warn you about common tactics used by the insurance company. One such strategy is to state that an offer will be rescinded immediately if you do not accept it right away. However, your personal injury attorney in Manchester can explain why this assertion may not be true. For example, your personal injury lawyer in Manchester can explain that the value of a claim often remains static. A personal injury claim that is currently worth $15,000 should still be worth $15,000 a week from now. Cases are valued on the amount of medical bills, property damage and lost earnings that you suffered, values that do not usually change over time. Another reason why your personal injury lawyer in Manchester may say that the insurance company’s statement of withdrawal may be a bluff is because this type of statement can invite a lawsuit. If your personal injury attorney in Manchester believes that the insurance company is not offering a fair value for your claim, he or she may recommend proceeding to trial. This may be negative for the insurance company because it must prepare for the time and expense of litigation. If you would like more advice regarding settlements, contact a personal injury attorney in Manchester at the Law Office of Manning & Zimmerman PLLC at(603) 624-7200.